If the job demands versatility, you won't find a better fit than the HP Elite x2. 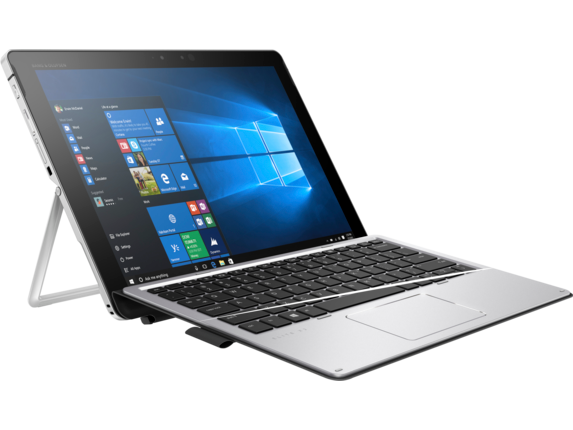 You and your workforce won’t be caught-off guard, no matter how unpredictable the workday is, with a machine that boasts a world-class tablet and keyboard to match. 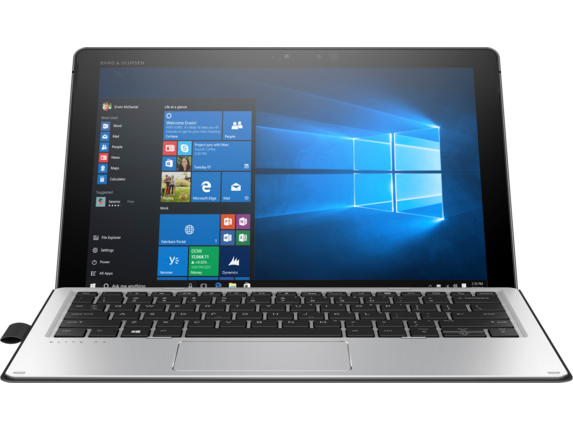 With its 12.3-inch touch display, the HP Elite x2 boasts a screen large enough to comfortably view and do your work. And at under 3 lbs, it’s light enough to take with you wherever you go. 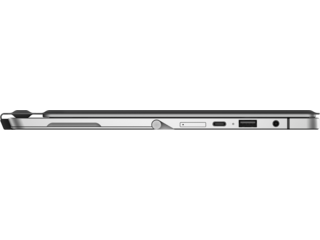 We don't believe that light and thin should mean you're lacking performance when you need it most. 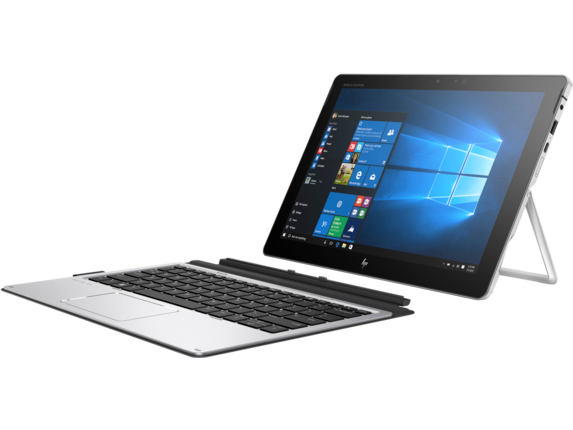 That’s why you're getting a 2-in-1 built with a 6th generation Intel® Core™ m7 processor, which means you can power through your work wherever you need to. And with options for 4GB or 8GB of memory, and Intel® HD Graphics 620, you have even more reasons to trust that you can get the job done. When you need to charge your device quickly or transfer files in a flash, you’ll appreciate the speed the Thunderbolt™ USB-C™ port can bring to your tasks. 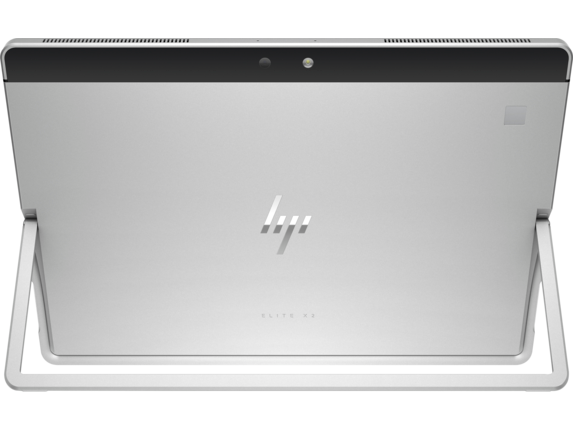 And if you want to even do more with your 2-in-1, the HP Advanced Wireless Docking Station allows you to connect to dual displays and all of your essential peripherals to give you true convenience. Whether you're a nurse or doctor taking notes in a hospital setting, a retail professional typing in orders for your business, or a teacher presenting to the class, you'll have just what it takes to do your job effortlessly. If you need to turn your words into a picture to help the room understand, the HP Elite x2 has the best tool for the job. The full-size HP Active Pen with Wacom technology allows you to quickly express yourself or take down an important message. With the sturdy stainless steel kickstand, you can maneuver your screen to make sure everyone can see what you’re trying to show them. And the detachable backlit keyboard gives you a great typing experience with the right light when you need it. When you have both front- and back-facing cameras, you can be confident that you’re in the shot, whether you’re behind your screen to give a presentation or in front of it to chat. Add in the powerful Audio by Bang & Olufsen speakers and HP Noise Reduction Software, and the only thing stopping you from having an effective virtual meeting will be aligning everyone’s schedule. If you need to manage the security on just one device or several, you'll appreciate the remote capabilities you'll have at your disposal with HP Sure Start and HP BIOSphere. Pair it with HP Client Security and you won't have a reason to worry about whether some of your most valuable assets are safe. Even better, Windows 10 Pro gives you the security options to prevent, respond to, and repair any issues that may arise in addition to simple ways to encrypt your sensitive data. And for a physical layer of protection, an optional fingerprint reader can ensure that only the right individual can unlock the HP Elite x2 1012 G2. The HP Elite tablet was designed to pass strict MIL-STD-810G testing, which means you're getting a device built to withstand some of the harshest environments in the world, let alone your office. When you have a screen made from Corning® Gorilla® Glass, you can rest a little easier knowing your investment is fortified with one of the strongest materials available on the planet. And if you add in the HP Elite x2 1012 Protective Case, you'll have another layer of protection that’s ready for whatever you face at the office or in the field. If you need more backup, we can help with that too. 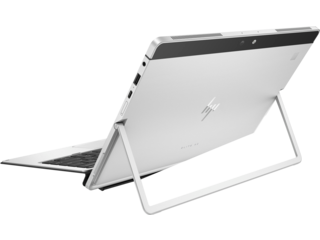 The support and service options available from HP® mean you’ll have never have to worry about keeping your device up-and-running or getting it repaired if a worst case scenario occurs. You never know what the day will demand when you come in the office, but with the HP Elite x2 you'll have plenty of tools to take on your agenda.